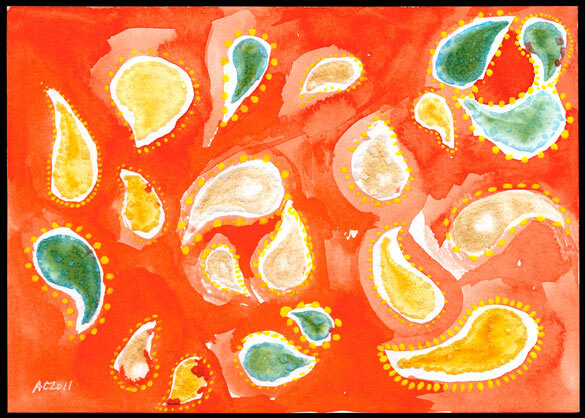 I was experimenting twice over with this piece, first by using different paints in each set of 7 paisleys (for 21 total), and then by drawing the salt pools out into shapes. 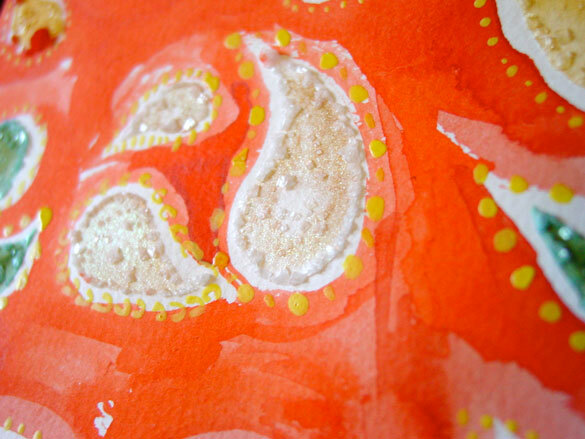 Finally the background seemed to need a good, strong orange, giving the whole thing a wacky ’70s feel. 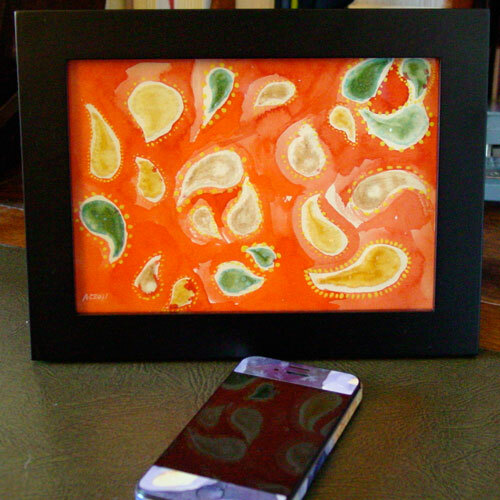 Orange Paisley, 7″x5″ watercolor and salt on paper. 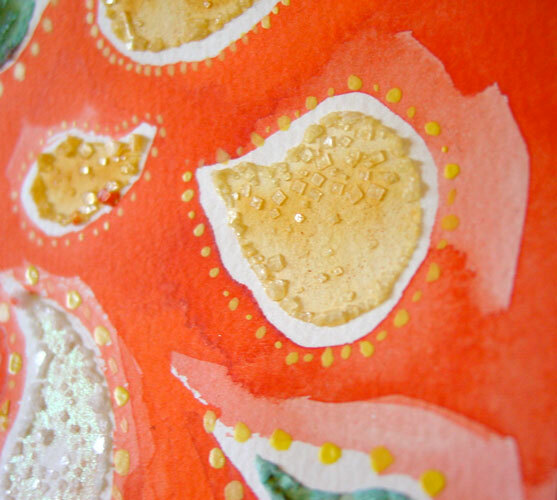 In the above detail, you can see the sparkle of the subtle duochrome paint and the way it interacts with the salt. Below, a simpler gold color that’s densest where the salt, too, gathered as they dried together. And finally you can see the piece in a simple black frame, letting the pattern really shine through.